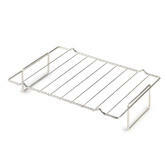 Complete your cookware collection with this lovely stainless steel rack, perfect for roasting and cooling. Conveniently sized, it will fit neatly into most oven pans in order to roast meat or vegetables, and can also be used as a cooling rack for cakes. 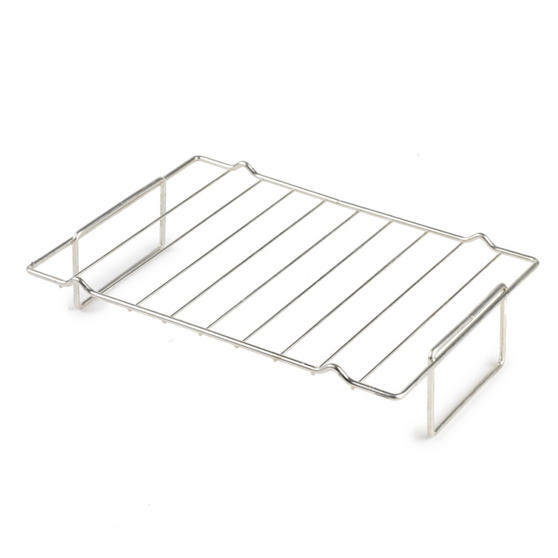 Practical and durable, this stainless steel rack is ideal for everyday use and is wonderfully easy to clean with just hot, soapy water. Perfect for any kitchen or cook, this rack is a great addition to any home. Whether you are starting a cookware collection for a new home or replacing your existing set, this rack is a great way to begin. Enhance your cooking experience with this multi-purpose rack which can be used for roasting or cooling and is perfect for any kitchen. Made from stainless steel, the rack will look smart with your cookware and is wonderfully easy to clean after use. 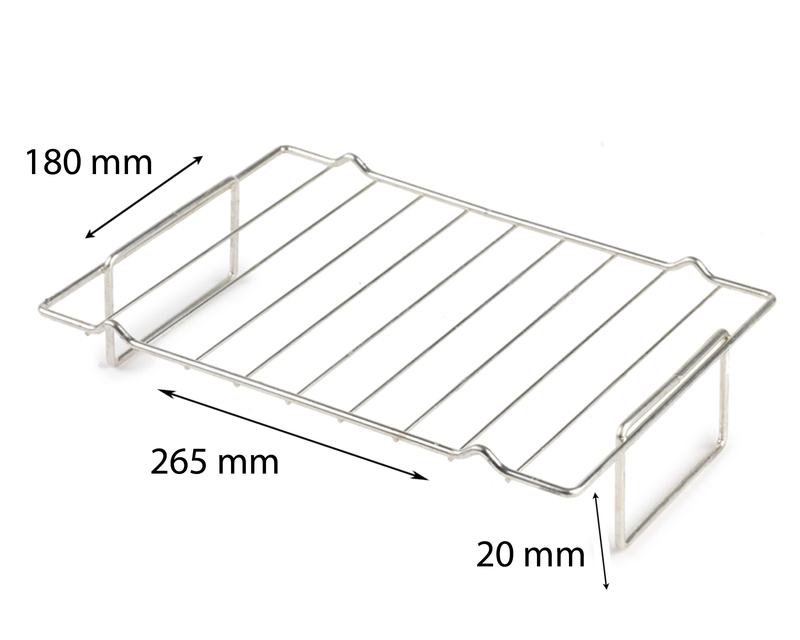 Measuring 26.5 x 18 x 2 cm, the rack can be placed inside a roasting tin to cook a delicious joint of meat for special occasions. Stand the rack on a flat surface and use it to leave freshly baked cakes to cool ready for decorating, or leave meat to rest.